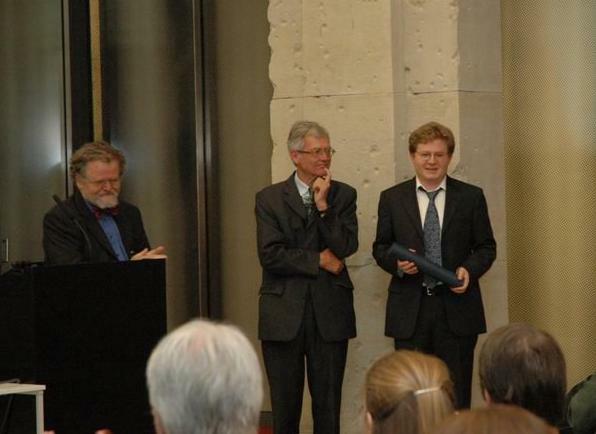 Continuing with the tradition established in Prag 2003 (see here) the second European Prize in Combinatorics was awarded during the conference. The prize is established to recognize excellent contributions in Combinatorics by young European researchers (eligibility of EU) not older than 35. The prize carries a monetary award of 2500 Euro. 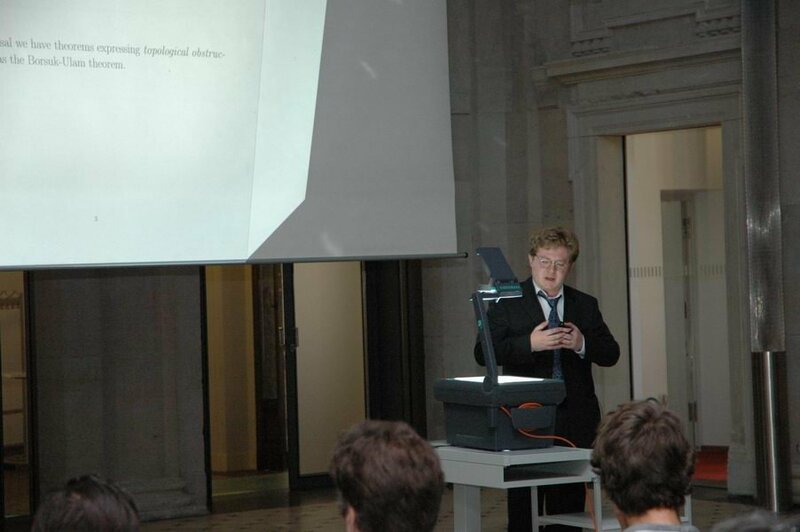 "for deep combinatorial results obtained by algebraic topology and particularly for a solution of a conjecture of Lovasz"
Dmitry Feichtner-Kozlov during his prize lecture. The award was funded with contributions by Springer-Verlag, DMTCS, COMBSTRU, and DIMATIA.